This time of year — springtime! — puts us in the mood to get in the garden and plant some seeds. Especially on nice days like today… and we’re not the only ones. 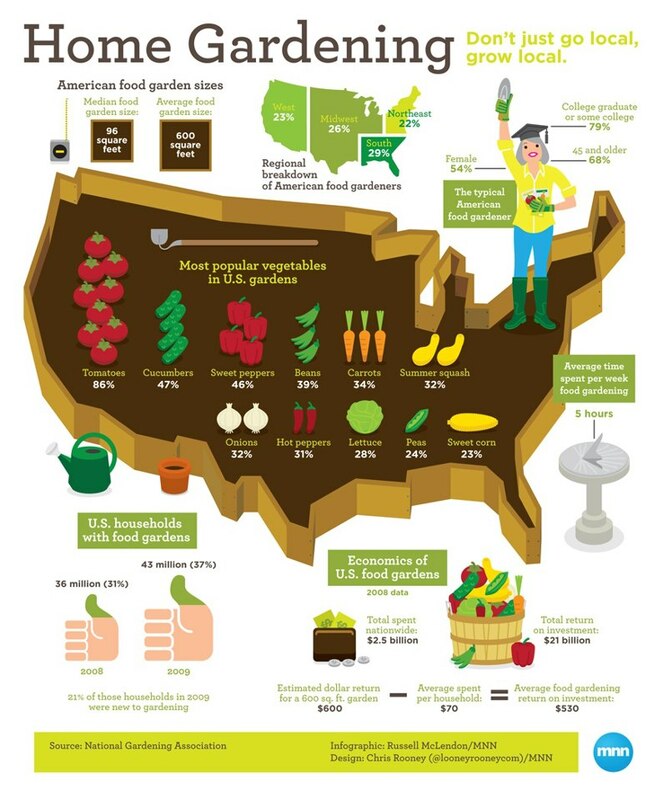 Check out this fun infographic about Home Gardening in the US. Composting is a great way to help the environment, while also producing a valuable end product. Yard trimming and food waste together makes up about 27% of the US municipal solid waste stream. Starting a compost pile of your own can significantly cut down the amount of waste your family sends to the landfill. Compost is an organic material that can be used as a soil component or a medium to grow plants and is created by combining organic wastes in proper ratios into piles. Enable reforestation, wetlands restoration, and habitat revitalization efforts by amending contaminated, compacted, and marginal soils. Remove solids, oil, grease, and heavy metals from storm water runoff. Capture and destroy 99.6 percent of industrial volatile organic chemicals (VOCs) in contaminated air. Now that you know what should and shouldn’t go into your compost, we’ll cover tips for successful composting in Part III next week.